Details:Take one dynamic duo — Christodoulos Komitis and Penelope Acosta-Komitis — add a keen business mind, the ability to create delicious food and a staff that provides wonderful service and you have their recipe for operating a successful restaurant. It has worked so well with their first two restaurants, they decided to do it again and opened The Ivy, this past May. Once you enter the restaurant you’ll immediately feel a warm, inviting environment. The clean lines, simple and attractive tables, chairs, couches and accents create a wonderful ambiance. 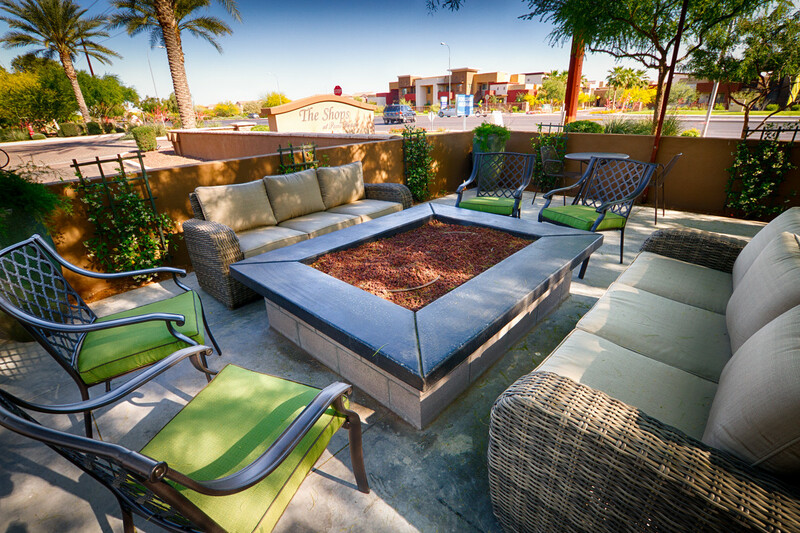 A spacious lounge is on your left with a large bar that opens up to an incredible, wrap-around patio. 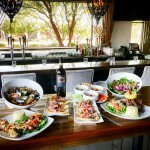 Both the lounge and the patio are perfect spots for Happy Hour, Reverse Happy Hour, a light meal or snack. There is also a private dining room available to celebrate any special occasion or to hold a corporate event. With a menu that offers a wide variety of choices, it won’t be difficult to find a few that will tempt you. Since I love cheese, I started my evening with the Saganaki. This delicious appetizer is a large portion of flamed cheese cooked with brandy and ouzo and followed by a splash of lemon. It’s served with warm pita bread and is absolutely delicious! Next, I sampled the Shrimp and Eggplant appetizer that is served with a spicy marinara sauce. The sautéed shrimp and breaded eggplant are very good and I can easily see why it’s one of the more popular appetizers. 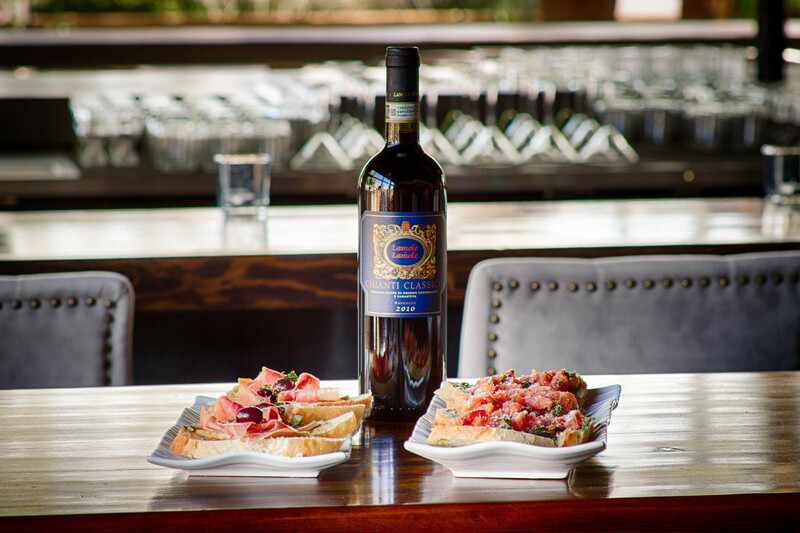 Other appetizers include Calamari, Hummus, Mussels, Shrimp Mediterraneo, Bruschetta and Ivy Fries. 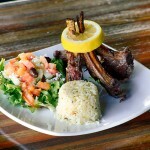 For an entrée, I tasted the tender Lamb Chops which are imported from New Zealand. They are first grilled then flavored with red wine and rosemary. It’s a simple yet tasty entrée that is served with potatoes and a crisp Greek salad. My favorite seafood is sea bass and I thoroughly enjoyed a beautiful fillet of Chilean Sea Bass that was seared and then placed in the oven with a garnish topping of orange and cilantro salsa and a touch of balsamic reduction sauce. It’s an elegant entrée with wonderful fresh flavors. 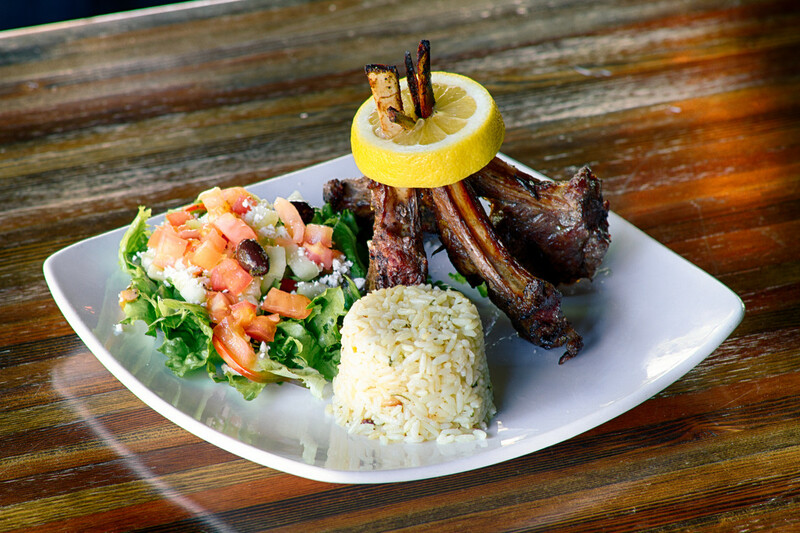 Also on the menu is the “Mezedes for 4,” which comes with chicken, lamb and shrimp skewers with lamb chops on the side. Rice and a salad finish off this family style entrée. Pasta dishes include Pesto Chicken Penne, Shrimp Santorini and Spaghetti Carbonara with Mushrooms. A $5 Kids Menu is available with three choices of Chicken Tenders and Fries; Pasta with Alfredo or Marinara sauce and Kids Quesadilla. There is also a wonderful selection of items available for lunch which includes delicious salads, pita wraps, an Ivy Club Sandwich, Fish Tacos, Buffalo Chicken Sandwich and a Mozzarella Burger. Komitis was born and raised on the Greek island of Cyprus and moved to the states in 2001. In 2004 he graduated with honors from Arizona State University with a degree in finance. 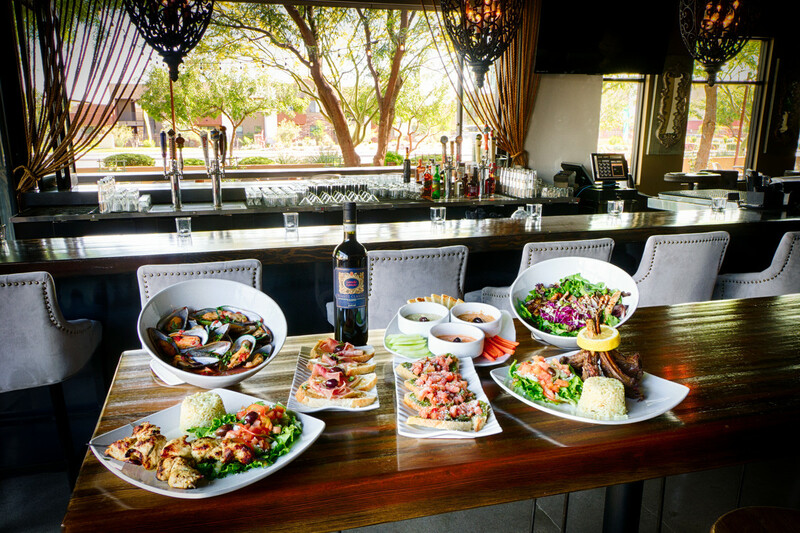 He opened his first restaurant, Cyprus Grill, in Phoenix, in 2004 and moved it to Chandler in 2009. He and Penelope have been married for eight years and have two children, a five-year-old son and one-year-old daughter. 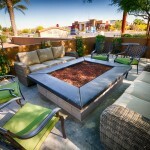 “Chandler’s economic growth and development inspired me to open The Ivy. 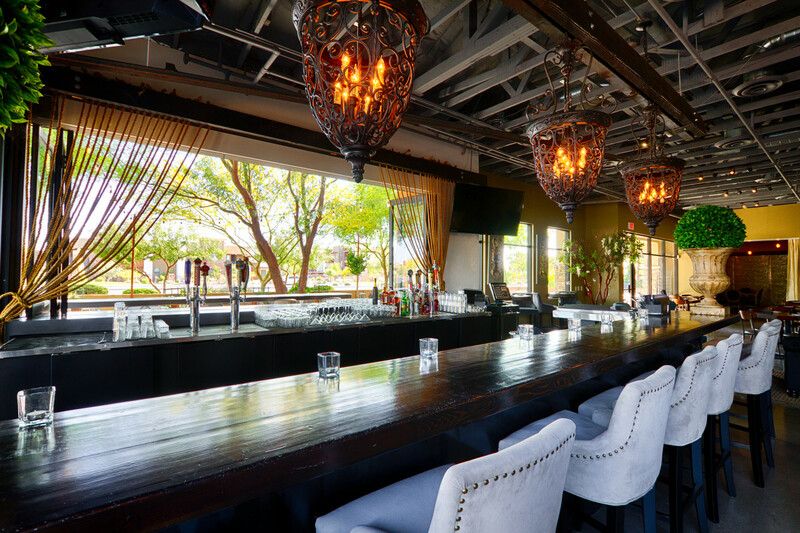 My vision was to create a beautiful place where you can hangout, eat great Mediterranean food and enjoy a drink without having to drive to Phoenix or Scottsdale. We want to be part of this city’s growing dining scene,” shares Komitis. Acosta-Komitis is active in the community, and The Ivy recently hosted a fund-raiser for Children of Chandler. Komitis is a passionate chef who enjoys the challenge of creating new flavors. 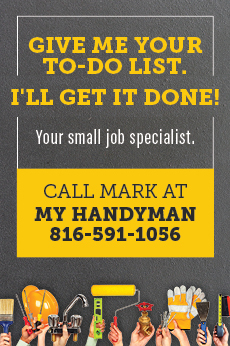 He doesn’t believe in skimping or cutting corners and uses only the highest quality products. He enjoys what he does and treats his customers like family. It’s obvious they feel the same, as the couple is invited to many of their customer’s family celebrations. I was very impressed with The Ivy as the portions are generous, the food delicious and at reasonable prices, and the service friendly. It’s a perfect location for any occasion – casual to formal – and you’ll find it has all the right ingredients to create a memorable time. Hours: Mon – Thurs 11 a.m. – 10 p.m.
Fri – Sat 11 a.m. – 12 a.m. 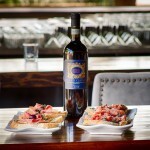 Happy Hour: Daily: 3 – 6 p.m. 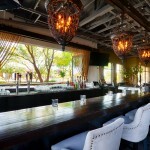 Reverse Happy Hour: Fri – Sat: 9 – 12 a.m.